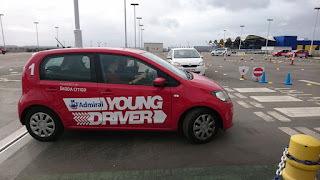 My nephew took a drivers lesson a few weeks back with Admiral young drivers. My oldest nephew is 13 yrs old and way to tall as he towers over me. There are to types of driving sessions which are designed for either 5 - 10 or 10 - 17 year old children/ teens. The choices of different style cars to drive varied also from driving a small manual or automatic car to driving a Bentley. 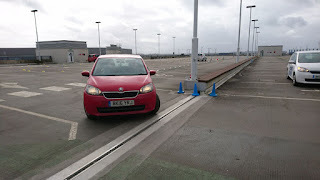 J had the 30 minute driving session which was very easy to follow instructions that were given by the instructors. After going through the safety talk the fun began. When arriving there isn't many seats in the waiting area So best to turn up with 30 minutes before you are do to do the lesson. Going up in the lift you can see the car park courses set up with lots of cones for each obstacle and area. 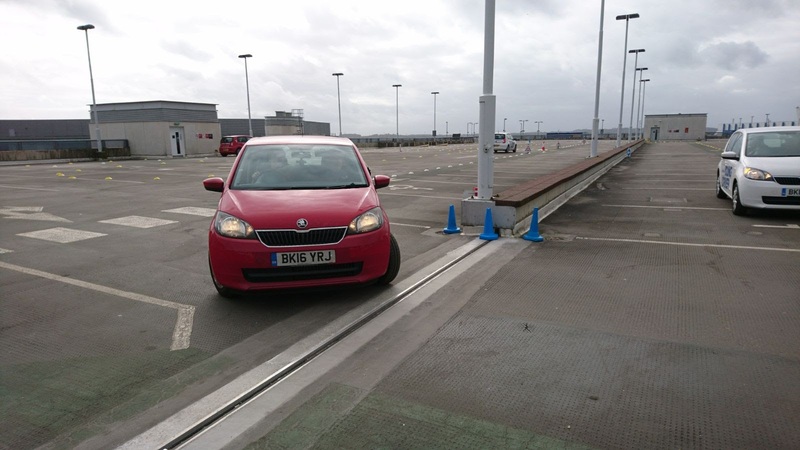 The person who signs you into the driving area were very friendly and helpful and prepared for a response for any questions. After 20 minutes J was in the car and extremely nervous about driving. At this point It was obvious how fantastic the driver instructors are with each different lesson they all very calm and patient with all students not just J. With no driving experience at all he was very nervous and within 5 minutes relaxing into the driving seat. Travelling through the coned road area's they practiced varied maneuvers including clutch control and start/stop. After this was driving round a cone roundabout and then down a ramp. after doing this area about 20 times J was then asked to drive down a ramp. Reverse parking was next and into a space. The instructor had to help J with this as he found it difficult. After finishing J had his drivers diary signed and finished his lesson. "I really like the driving lesson because they told you every thing but you had to wait a long time and there wasn't many seats to sit on if you got there early. The instructor was very helpful and told me how to change gear and how to revers park. experience was amazing and very fun."